New business owners often hear that somehow things are "more favorable" for corporations and other business types in Nevada or Delaware. But does this favorable treatment make the additional costs worthwhile? More than 50% of all U.S. publicly-traded companies incorporate in Delaware because of its "...modern and flexible corporate laws, ...highly respected Court of Chancery, a business-friendly State Government, and the customer service oriented Staff of the Delaware Division of Corporations." (from the state's business division site). Based on the Delaware model, Nevada has gone even further to be business-friendly. Nevada's corporate website lists advantages of incorporating in Nevada, including no corporate income tax, no taxes on corporate share, nominal annual fees, no franchise tax, competitive sales and property tax rates, and minimal employer payroll tax. 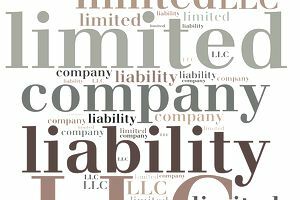 Both states will allow you to incorporate or form an LLC in their state even if your business is physically located in another state. Dual Registration. If you are only doing business in one state, but choose to incorporate elsewhere, you will have to register in both states initially, and each year you will need to prepare two annual reports - requiring two filing fees each year instead of only one - to keep both registrations active. Registered Agents. You will be required to maintain a registered agent in both states, again adding more fees and costs. Legal Costs. If your business becomes involved in litigation, the laws of both states may need to be applied depending on the various underlying issues. Your attorney (typically licensed in the state where you are doing business) will have to learn the laws of the other state to advise you on certain matters - this "learning" time may be charged to you.